Prem Singh, Manish Chaudhry, Samal Nauhria, Deepika Rao. Background: Fine-needle aspiration cytology (FNAC) has been established as a highly accurate diagnostic technique over the past few decades. It is a rapid, reliable, and safe initial diagnostic tool used for both non-neoplastic and neoplastic breast lesions. Objectives: To study the cytomorphological patterns of various breast lesions diagnosed on Fine Needle Aspiration cytology. 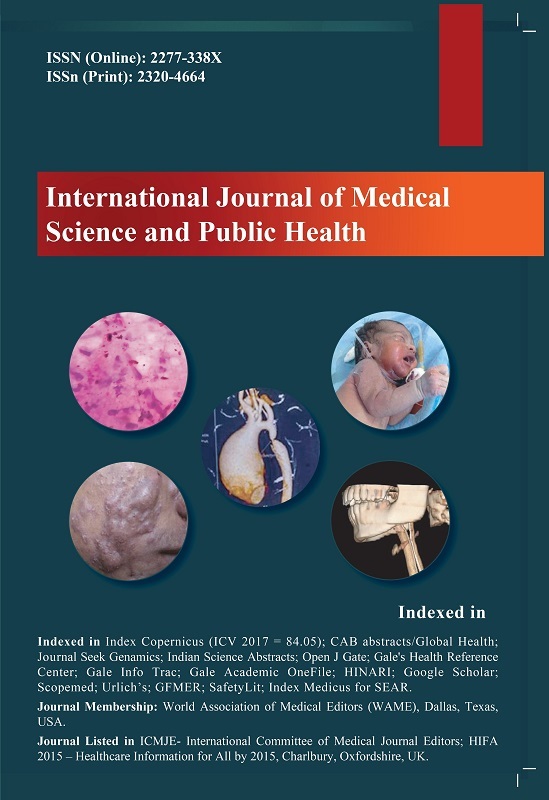 Materials and Methods: This study was carried out on 100 patients who presented with palpable lumps in breast in the Department of Pathology, MM Institute of Medical Sciences and Research, Mullana, Ambala, Haryana, from October 2012 to September 2014 and were subjected to an FNAC procedure after obtaining a detailed history and conducting a general physical and local examination. Cytological diagnosis was made and histopathological correlation was made, wherever available. Results: Cytologically, the lesions were categorized as inflammatory 11 (11%), benign 10 (10%), fibroepithelial lesions 30 (30%), atypical probably benign 2 (2%), suspicious (probably malignant) 3 (3%), malignant 39 (39%), and unsatisfactory 5 (5%). Of these 100 cases, 30 cases (30%) were available for histopathological examination. The most common benign lesion in this study was fibroadenoma (26/40; 65%) and the most common malignant lesion was infiltrating ductal carcinoma (33/39; 84.61%). Conclusion: Diagnosis of breast lump based on FNAC should be practiced as there is high correlation with histopathological finding. FNAC should be used as a routine diagnostic procedure due to its cost effectiveness, thus maximizing the availability of effective health care to patients with breast lesions. 2. Ferlay JBF, Pisani P, Parkin DM. GLOBOCAN 2000: Cancer Incidence, Mortality and Prevalence Worldwide, version 1.0. 2001. Geneva: WHO. 5. Khan A, Jamali R, Jan M, Tasneem M. Correlation of fine needle aspiration cytology and histopathology diagnosis in the evaluation of breast lumps. Int J Med Students 2014;2(2):37-40. 16. Singh A, Haritwal A, Murali BM. Pattern of breast lumps and diagnostic accuracy of fine needle aspiration cytology; a hospital based study from Pondicherry, India. Internet J Pathol 2011;11(2). Available at: http://ispub.com/IJPA/11/2/7568 (last accessed on January 21, 2013).